It’s the last stretch of MLB games this week before the All-Star Break, as the annual baseball game will be played on Tuesday, July 14 at Great American Ball Park in Cincinnati, Ohio. The Chicago baseball teams kick off a three-game series this Friday and the second game of this series for this Saturday is the top priced MLB ticket on the secondary market with the Cubs hosting the White Sox at Wrigley Field. 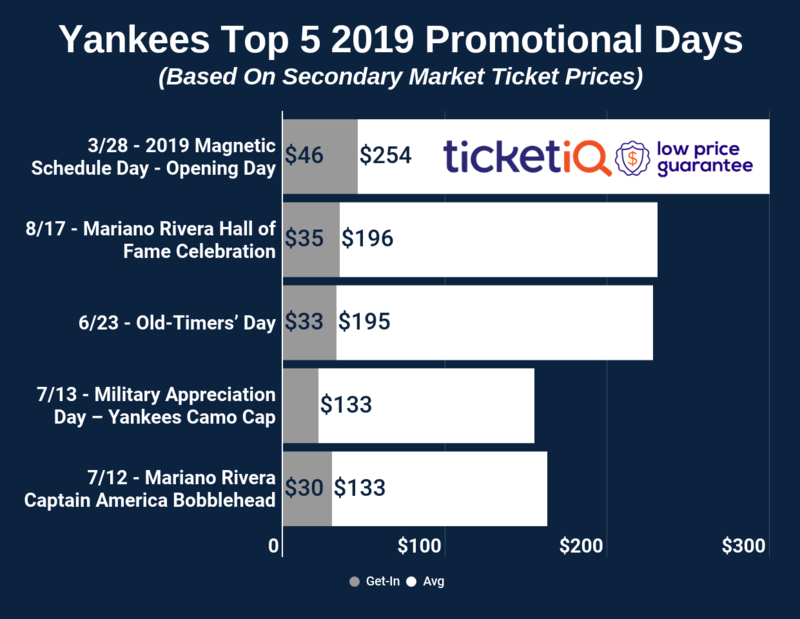 Here’s a breakdown of every top MLB ticket on the secondary market on TicketIQ. In their last series before the All-Star Break, in what has been a solid start to their season, the Chicago Cubs begin a three-game set with the Chicago White Sox Friday at Wrigley Field. The second game of this series is this week’s top price MLB ticket on the secondary market, Cubs tickets against the White Sox have an average price of $157.05, with the cheapest seat priced at $51. After a brief two-game series with the Miami Marlins, the Boston Red Sox host their division rival, the New York Yankees, for a three-game series at Fenway Park. The series kicks off at Fenway this Friday and the final game of this series on July 12 is the most expensive. Red Sox tickets against the Yankees have an average price of $153.65 on the secondary market, with a get-in price of $54. The Miami Marlins host the Cincinnati Reds for a four-game series at Marlins Park with the series kicking off this Thursday. The Reds, and the rest of baseball, will then head back to Cincinnati for the All-Star Game. Marlins tickets for the third game of this series have a current secondary average price of $97.99, with a get-in price of $15. The Colorado Rockies will play a four-game series with the Atlanta Braves starting this Thursday at Coors Field. Rockies tickets for this Friday’s game are featured here with tickets having an average price of $88.71 on the secondary market. The cheapest seat to get in is currently priced at $28. The New York Mets will be home playing a three-game series at Citi Field against the Arizona Diamondbacks for their final series of the first half. Mets tickets to the final game of the series are going for an average price of $87.74 on the secondary market and a get-in price of $18.